Justice Elwood Lui is sworn in by Chief Justice Tani G. Cantil-Sakauye. Lui is the first Asian-American administrative presiding justice in California. 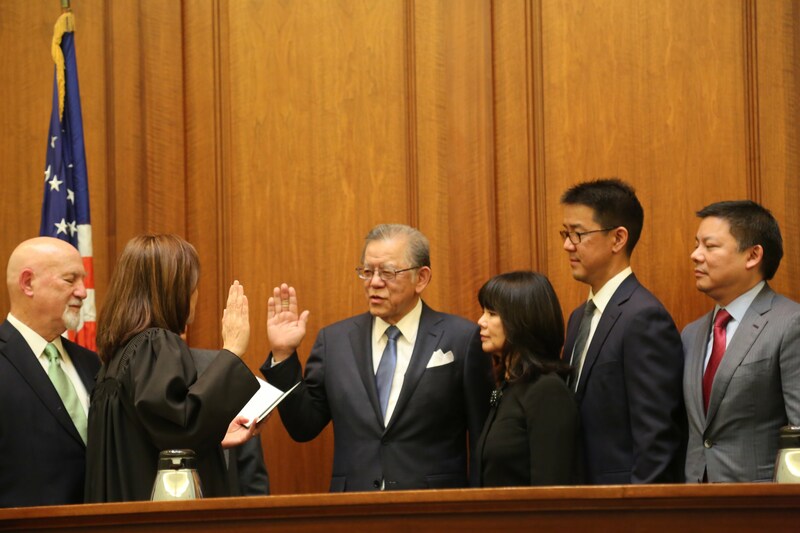 Chief Justice Tani Cantil-Sakauye on Wednesday announced the designation of Justice Elwood G. Lui as Administrative Presiding Justice of the Second Appellate District, making him the first Asian-American administrative presiding justice in the state. “Justice Lui has an extraordinary record of public service, and today he makes history as the first Asian-American administrative presiding justice in California. His dedication to the profession and wealth of experience, from his years on the bench to his achievements in private practice, make him ideal to head the operations of the Second District,” said Chief Justice Tani Cantil-Sakauye. In 2016, the Supreme Court of California appointed Lui as Special Master to oversee and report on the State Bar’s Disciplinary System and the court-ordered special regulatory assessment. The administrative presiding justice supervises the court's day-to-day operations, overseeing matters that include personnel, budget, and facilities. In a Court of Appeal with more than one division, the Chief Justice may designate a presiding justice to act as administrative presiding justice under Rule of Court 10.1004. Justice Lui’s appointment as Presiding Justice of the Court of Appeal, Second Appellate District, Division Two (Los Angeles) was confirmed Dec. 14 by the Commission on Judicial Appointments. Lui filled the vacancy created by the retirement of Presiding Justice Roger W. Boren. Lui most recently served as an associate justice at the Second District Court of Appeal beginning in 2015. He was of counsel at Jones Day from 2014 to 2015, where he was a partner from 1987 to 2013. Lui previously served as an associate justice at the Second District Court of Appeal from 1981 to 1987, and judge at the Los Angeles County Superior Court (1980-1981) and the Los Angeles County Municipal Court (1975-1980). 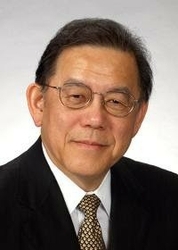 He was a sole practitioner in 1975, an attorney at Mori and Katayama (1971-1975) and a deputy attorney general at the California Department of Justice, Office of the Attorney General (1969-1971). Lui earned a Master of Business Administration degree from the University of California, Los Angeles Graduate School of Business Administration, a Juris Doctor degree from the University of California, Los Angeles School of Law and a Bachelor of Science degree from the University of California, Los Angeles.